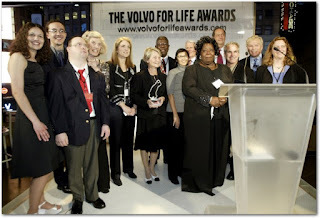 Volvo Blog provides helpful information about Volvo cars for owners, drivers and enthusiast. 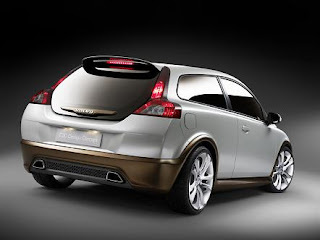 We provide top ten lists and easy to read info about Volvo cars. 1. Gather Information. Whether you're looking to unload your car quickly or get the best offer for it, it's smart to start with a little preparation. 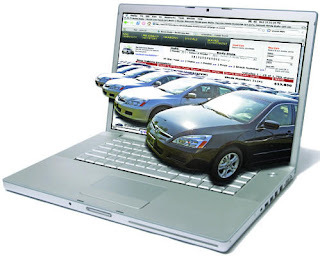 You need to visit websites like eBay, AutoTrader, KBB etc.. to determine your car's value to setting your asking price and getting a firm online offer. Many people overlook this step until the very end, but the selling process really starts with rounding up your paper work. The car's title, service records and original sales paperwork are the big three. Here's why: While you may already know the basics (year, make, model, current mileage), you'll need to know your car's style (not just a 2003 Honda Accord, but a 2003 Honda Accord LX) along with optional features like keyless entry, a CD player, leather seats or navigation system. Options can bump up your car's resale value, so be sure you have a complete list. If you want to see if you missed anything, check your original sales documents or the window sticker. Finally, gather up as many maintenance receipts as you can find. "These days, regular oil changes are an even better indication of good upkeep than tune-ups," says Dan Ingle, Kelley Blue Book's Vice President of Vehicle Valuations and Industry Products. "If you changed your oil every 3,000-8,000 miles, in keeping with the manufacturer's recommendations, that's a good signal to a buyer that the car has been cared for." If you don't have your service receipts, ask your dealer, regular mechanic or oil change center if they can print a statement that summarizes your visits. This kind of information reassures a buyer that the car is in good shape, which can help you get a higher price. Your decision may ultimately come down to whether you have the time or inclination to do the selling yourself, or whether you prefer the convenience of letting someone else handle the process. To get a sense of how much more you can expect, compare the Kelley Blue Book Private Party Value and Trade-in Value. The difference could be the deciding factor. Another option is to get an instant offer from AutoTrader.com, which can be redeemed immediately at a participating local dealer, often with no new car purchase required. 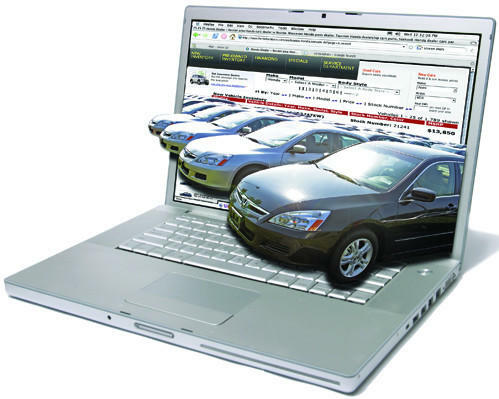 The online offer can serve as a starting point for the price you can get for your car today. 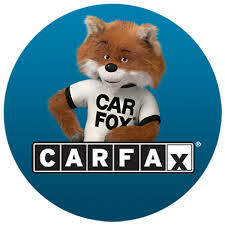 It's a great option that just gives you more information about the value of your car. And there's no obligation once you receive an offer. 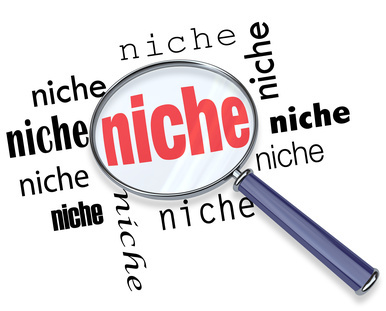 TIP: A vehicle with an unusual color or aftermarket features may ultimately sell for less than a vehicle that's desirable to a larger audience. But if you're willing to put in the time and effort to find the buyers interested in your special features, your car's unique appeal could actually bring in more. 4. Increase Value. Whether you sell your car yourself or trade it in to a dealer, you will want to do the little things - and maybe fix the big things - to boost your car's value. 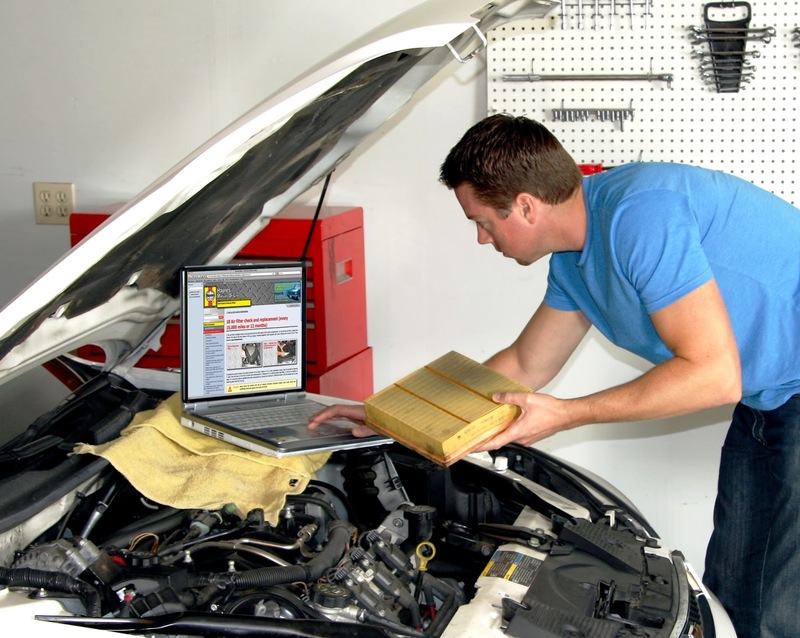 Most potential buyers will expect the bare minimum of car prep when they look at a used car. "Unless your car is a rusty bucket of bolts, a professional detailing job is always worth the money," says Richard Homan, senior vehicle evaluation editor at KBB.com. "If you don't want to spend the money for a professional job, be sure that you at least wash and wax your car and change the oil." As for the big things, the final price you set for your car should increase with any mechanical or cosmetic improvements. "Most used-car buyers don't want to think about fixing their car. So if you can brag about your car's new brakes or high-quality tires, it will sell much quicker," says Homan. Just remember to gather the paperwork for any major work and create a file of receipts to show potential buyers (as covered in Step 1). 1. Lights -- Lights are generally inexpensive to replace, and they're important to a buyer. "A quick stop at the auto supply store and a Phillips screwdriver, and you're usually in great shape," says Ingle. 2. Windshield chips/cracks --The cost of repairing a windshield is usually less than the amount that buyers will mentally knock off the price if you leave the damage as is. 3. Brakes -- If you're selling a luxury vehicle, new brakes are worth the cost. For non-luxury cars, it's only a deduction of $100-150 from your asking price. 4. Tires -- Buyers are advised to check a used car's tire treads to get a sense of overall wear and tear. If your treads are worn or uneven, at the very least replace them with some matching used tires (as little as $30-$40 per tire), otherwise the buyer will often expect a significant discount ($300-$700), depending on the model. 5. Dents, dings & scratches -- If you have more than four or five dings, especially if they're glaring to the eye, hire a dent wizard. "Dent removal experts can be very affordable - often charging only $100 to remove several dings," says Ingle. "You will be saving the buyer the headache of taking it to the body shop." For a major dent where a panel needs to be repaired, it makes even better financial sense to fix it, Ingle advises. 5. Price. If you've spent money improving your car's condition, your car's value has probably changed as well. Check your Blue Book® Value the week you're ready to sell, as this will help you price your car appropriately. Buyers often look up the Blue Book Value of cars they're interested in to get an idea of what they should pay. As a pricing guide trusted by both consumers and the auto industry for more than 85 years, Kelley Blue Book takes much of the speculation out of determining a car's value. Our experts factor in everything from current economic conditions to industry developments to the location of the car. However, the car's Blue Book Value and your asking price may be two different numbers. First, you want to build in a cushion for negotiating. Second, your asking price may be lower or higher than your value based on variables for your particular car. 6. Create an online Ad. Now that you've decided to sell your car privately, it's time to get the word out to the largest audience possible. Websites like KBB.com and AutoTrader.com offer classifieds services that put your car in front of thousands of active shoppers in your area in a matter of minutes. And with a detailed description and several good photos, you can stand out to the buyers who are most likely to be interested in your car. Online ads also allow you to field questions first, which will help you weed out any unlikely buyers and limit your time showing the car in person. A: Start with a brief description that highlights your car's most in-demand features, such as high MPG, low mileage, any remaining warranties and special features. B: Mention why you're selling the car. Buyers want to know this most of all, so deal with it up front. C: Be honest about the vehicle's condition and list the vehicle's VIN number to reassure buyers that you're not hiding anything. D: State your asking price and negotiating terms. Begin by posting your car's Blue Book Value followed by your asking price, then give an explanation why you're asking more or less than the Blue Book Value. 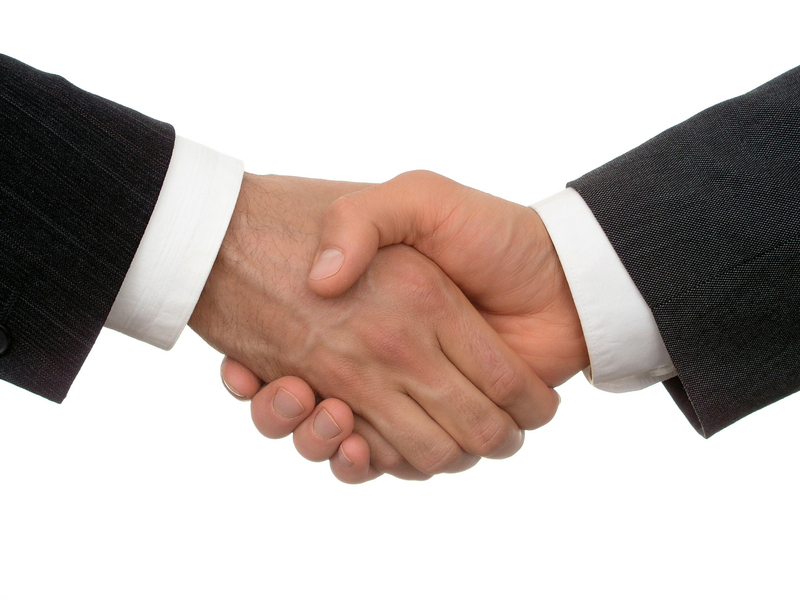 State whether the price is "firm," "negotiable" or "best offer" - as this will help you target the right buyers for you. E: Define acceptable forms of payment, which should include certified checks or money orders. Help protect yourself from fraud by not accepting personal checks and foreign money. F: Include lots of photos. Buyers love to feel like they're inside the car, so include several exterior angles and close-ups of the interior, dash and engine. 7. Screen Buyers. Unless you hire a broker or have a friend who owes you several favors, you'll need to meet prospective buyers and set up test drives. This can be daunting, so it makes sense to look through all the candidates online first, then call the ones that seem promising. That initial phone call is the best way to put both parties at ease. If you communicate by email, re-send the details of your ad (potential buyers are probably reaching out to several owners) and offer to answer any questions they might have. Before setting an appointment to show your car, ask for the person's full name and offer yours. 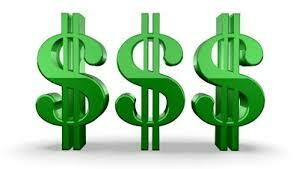 Clarify which forms of payment are acceptable to you - certified check and money orders are best. You might be surprised how many people still need to line up financing, expect you to accept a down payment, or even plan to pay you in installments! Don't waste time with these buyers. To help protect yourself from fraud, it's best to sell to someone in your area. Tell prospective buyers that you don't accept out-of-state checks and that you would like to meet at the buyer's bank and go in with them to get the cashier's check. Some banks may also want to see the vehicle if the buyer has lined up financing. Before you meet with any potential buyers, gather all the documents you'll need so you have the option to sell the car on the spot. Requirements and acceptable documents can vary, so check your state's Department of Motor Vehicles website to see what it requires when transferring ownership. 8. Test Drive Sell. Before the test drive, anticipate a potential buyer's questions about your car. For example, if you're asking more for your car than others in the category, be prepared to explain why. Special features, complete maintenance records, and any recent upgrades are all logical explanations of a higher price -- especially when you can back it up with the paperwork. Choose a safe location in a public place, ideally near a relaxed test-drive route. Make sure your insurance covers other drivers, and ask to see the potential buyer's driver's license before handing over your keys. You should also take a picture of his/her license, should anything happen. Always accompany the driver - regardless of what kind of collateral they offer. If you're uneasy getting in the car with a stranger, ask a friend or family member to join you. The potential buyer may also want to bring someone else along, but try to avoid being outnumbered. Keep in mind that potential buyers will be evaluating you along with your car, so be friendly, knowledgeable and honest. For many buyers, part of the appeal of dealing with the owner directly is the hope of getting a more accurate assessment of the car's condition and upkeep. Disclose the car's faults up front, but be ready with the paperwork that proves you've kept up with maintenance and repairs. On the test drive, get to know your potential buyer. Find out what they currently drive, why they are looking for another car, and what's important to them. This will help you play up your car's strengths while easing any concerns they might have. Some car shoppers will ask to take the car to their own mechanic for an inspection, a common and acceptable practice. If you have a recent mechanic's report, it may be good enough. If not, you can always drive with the buyer to get a diagnostic check. Don't forget: the extra effort of selling your car yourself is generally worth 15-25% more than the trade-in value at a dealer. But if you find that the process is taking too long or is more effort than you're comfortable with, you can always choose to trade it in. Or you can go the quickest route and get an instant online offer through AutoTrader.com's Trade-In Marketplace (with no new car purchase required). 9. Negotiate. At the end of the test drive, remind the buyer of the car's asking price and how "firm" that price may be. This is also the time to revisit any remaining warranty or extended protection, or whether you're selling the vehicle "as is." Then let the negotiations begin! Ideally you've given yourself some padding on your asking price, so let the buyer take the lead in either accepting or counter-offering. The art of negotiation involves knowing beforehand what your lowest acceptable offer is and feeling confident that there are other buyers out there if you can't agree on a price. If a buyer offers an amount below what you want to accept, be prepared to move along. Suggest that they contact you if they reconsider. But if they make a reasonable offer, be prepared to say yes. If you plan to sell your car on the spot, remember to bring your title/paperwork. Finally, make sure you have a ride home (something that a lot of people forget). 1. Fun. It's a fun car with a racy engine and sporty looks. How cool is it to have a fast performance car that has a hatchback. It's a great car for the married man who wants performance yet needs economy too. The twin exhaust pipes tells everyone you mean business. 2. Sporty. The car has a sporty stance and I like the fat exterior. The car reminds me of the Chevy Vega or the Monza, both cars were considered economy cars but some versions had a sporty look and race inspired engines. Both cars were misunderstood but most but dearly loved by some. 3. Polestar. 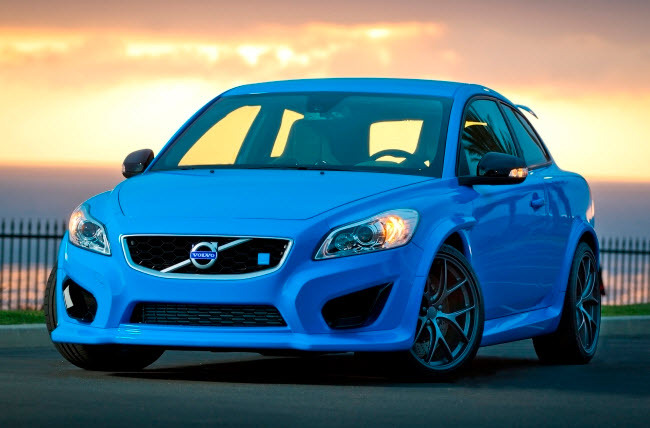 The Polestar version is a really good looking car and the fastest production car Volvo ever made. Yes faster than the S60R. The Polestar appearance package and increased horsepower to a fun, sporty car which took it to the next level. 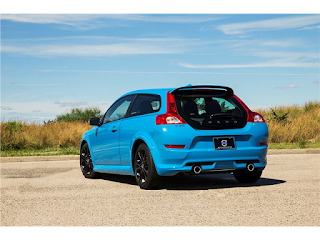 The C30 Polestar concept was a 405-hp, all-wheel-drive rocket that was equipped with Brembo brakes, racing seats and four-point harnesses, and an aerodynamics package derived from the C30 Volvo campaigned in the Swedish Touring Car Championship. This Polestar Limited Edition, however, essentially is a tarted-up, front-wheel-drive C30 R-Design with a unique color combination—retina-searing Rebel Blue (which will be available on non-Polestar 2013 C30s) over matte-black 17-inch wheels—and some Polestar performance goodies baked in. Volvo started with the C30 R-Design equipped with the mid-grade Premier Plus trim level and added Polestar’s engine-tuning package (available on all C30s for $1295) and Polestar exterior badges. 4. R-Design. The Volvo C30 R-design model was a sporty version of the original with R-design badging and some interior and exterior upgrades. It is a limited (400 units 2008) version of C30 T5 for North America market. It included a choice of four body colors (Black Sapphire, Titanium Grey, Orinoco Blue and Passion Red), Sport Body kit, off-black Flex-tech seat upholstery, cushions and backrests trimmed in contrasting crème-colored leather, blue-face instrument cluster, center console with subtle circular patterns and aluminum inlay, wrapped steering with aluminum inlays, sport pedals, sport shifter, floor mats, 18" Atreus wheels, Sirius Satellite Radio with a 6-month introductory subscription. Other options include 5-speed Geartronic transmission, DVD-based navigation system with real time traffic, power driver's seat, Climate Package, power glass moonroof, bi-xenon headlights, Serapis alloy wheels and Dynaudio premium sound system. In 2012 more options were added. 5. Two Tone. A very unique feature on the early model was the ability to order the C30 with a choice of 6 different two two colors. What a very rare option on any car much less luxury cars. Although it wasn't my personal choice it was a unique way to personalize the C30. 6. Awards. The C30 DRIVe was one of the finalist to the 2011 Green Car Vision Award. 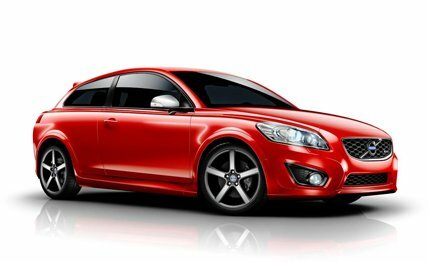 KBB (Kelly Blue Book) awarded the Volvo C30 with the 2012 lowest ownership cost award. The Volvo C30 has also won numerous awards for innovative design and the IIHS (Insurance Institute for Highway Safety) awarded the C30 as a Top Safety Pick. The Volvo C30 also won the European Gold Steering award. 7. Niche. If you are looking for your niche and want a car most people don't have then the Volvo C30 is for you. If you are trying to blend in on the road then probably not. The Volvo C30 is very unique and has it's own cult following. 8. Body Kits. 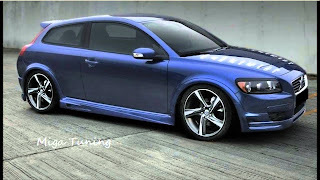 The Volvo C30 was available in many styles and 3 different body kits were availble. It drives us Volvo parts people a little crazy trying to sell the correct spoiler or bumper but it makes the car highly customizable and different looks can be achieved by adding a spoiler or a body kit. You can line up 5 different Volvo C30's and they could look like five different cars. 9. T5 Engine. The Volvo Turbo five cylinder has been around since 1993 and is known to be built like a tank as long you keep up with oil changes and maintenance repairs like a new timing belt at 100K and replace the oil trap then too. The Volvo 5 cylinder was beating BMW 3 series engines in 1995 and was the Volvo 850 was the fastest car in the market for many years. Volvo has won many races with the T5 turbo engine and people have reported getting more than 1 million miles on it without overhaul. 10. Customer Reviews. Edmunds customer review rating for the Volvo C30 is 4.43 out of 5 and cars.com shows 5 out of 5 (dated 10/16/2015). Customers who purchased a Volvo C30 seem to really like them. The true test of how much people like the Volvo C30 is found when you try to find a used one for sale. My search results were a total of 10 used C30's for sale including all of the major car websites and even local dealership inventories. People who drive the Volvo C30 aren't selling them. 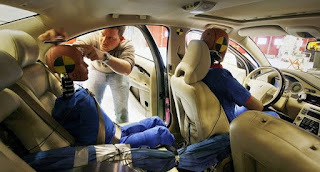 Car Safety is divided between Passive Safety and Active Safety. Passive Safety is defined as features that help reduce the effects of an accident, such as seat belts, airbags and strong body structures. Thee good news is Volvo makes one of the safest cars in the world. 1. Seat belts save lives. Volvo invented the 3-point seat belt system which has saved many lives and reduced injury. 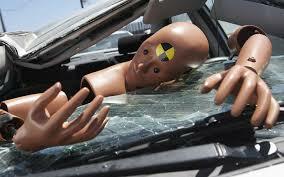 The NHTSA estimates over 12,000 lives are saved each year due to seat belts. I am old enough to remember when seat belt laws were passed. 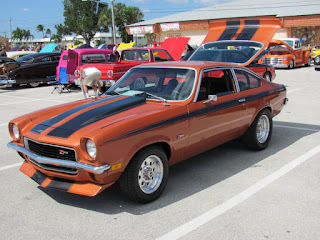 I was driving my hot rod 1972 Chevy Nova and was pulled over because I was not wearing my seat belt. I was so mad when the officer gave me a ticket. How dare he! This law is an invasion of our privacy! I took a drivers education course to reduce the fine and it was then I was told by several emergency personnel that the police, fire and ambulance people were who fought for this law along with friends and family members of crash victims. Wear your seat belt and save your life. Late model Volvo vehicles have seat belts that tighten up in a split second to increase the safety by controlling body movement. 2. Headrest. 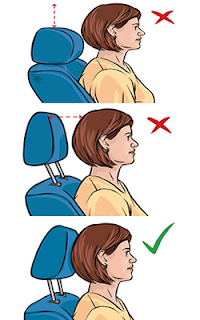 The headrest is an important part of car safety because it is designed to prevent whiplash and to prevent front and rear passenger collisions by providing a cushion. Always be sure you keep the headrest installed and that it is positioned properly. 3. Check Vehicle history. We see this all of the time, a car lot buys a wrecked Volvo and try's to restore it for resale but the buy used parts off eBay or even worse don't replace all of the parts. When you purchase a pre-owned Volvo always perform a vehicle history report (carfax etc...) to see if the car has been involved in a crash, how severe and what safety parts were replaced. This is often overlooked and is a critical safety measure. Don't send your daughter off to college in a used Volvo without checking the car history and personally inspecting the safety components. It might even be a good idea to have a certified master mechanic check out all safety systems. 4. Genuine Volvo Safety Parts. 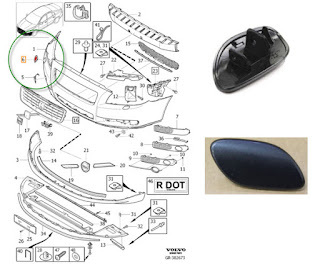 In most cases you have to use genuine Volvo safety parts or the Volvo computer will not remove the SRS light/code. Volvo cares so much about your safety that their electronic control module for safety parts like seat belts, airbags and crash sensors will not allow the SRS light to be cleared unless all parts have been replaced including a new module. In most cases when your Volvo has suffered a collision every seat belt, sensor and airbag must be replaced unless no passenger was in that seat. A Volvo XC90 seven seat SUV has 7 seat belts so if five passengers were in the vehicle at the time of collision and an airbag or seat belt was deployed then 5 seatbelts and airbags will have to be replaced along with sensors and the control module. Active Safety is defined safety systems that help avoid accidents, such as good steering and brakes, tires, collision warning, lane departure, blind side safety and more. Volvo, especially recent Volvo models have a lot of active safety features, possibly more than any other auto manufacture. Systems like BLISS (Blind Spot Safety System) reduce that blind spot in all cars that causes many collisions. Lane Departure warns you when your Volvo is crossing into other lanes. Collision warning will stop your car should you become distracted. Volvo has a lot more safety devices and leads the automotive industry when it comes to safety. Volvo systems are so safe Volvo is close to becoming the first car company with an fully autonomous car that can drive all by itself. They recently said they will accept responsibility for accidents caused by it's autonomous car which Google and the car companies have not agreed too. 5. Tires and tire pressure. Tires are a crucial part of active safety because a under inflated tire can drastically reduce the turning ability which can affect your ability to avoid collisions. A worn tire is especially dangerous because it reduces steering control and brake distance. On rainy days a worn tire will drastically increase the distance it takes to stop the car and your ability to steer away from danger. 6. Brake Systems. Make sure you replace your brake pads and rotors when needed and don't delay. 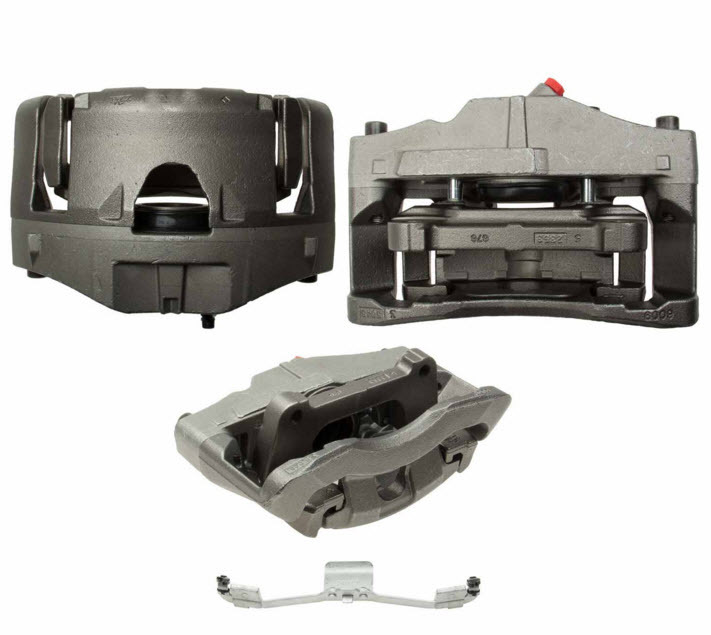 The brake system is vital to active safety and a poor performing brake system can cause serious injury or death. Good brakes allow you stop quick and in shorter distance which may allow you to avoid a wreck completely. It's also a good idea to have a certified technician inspect your brakes yearly. 7. Window Wipers. You might think this part is not that important that is until you find yourself in heavy rain and your wipers don't work. Trust my I have been there and it is not only very scary but down right dangerous. Snow and Ice can also affect your ability to see so be prepared with good working window wiper parts. Many Volvo's have front and rear wiper blades which should be replaced annually and inspected every six months. 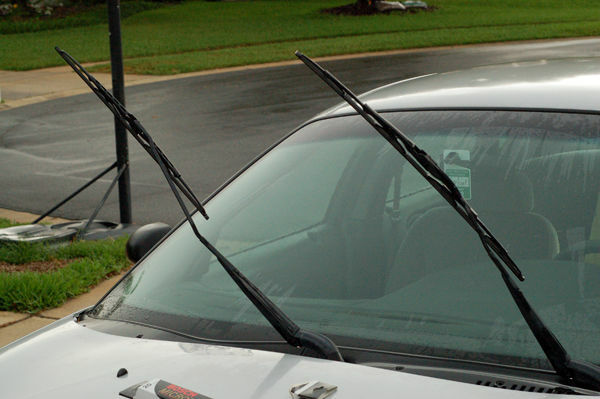 Ice can destroy wiper blades so it is a good idea to replace them every spring and inspect them every fall. It is crucial that you can see and a basic safety requirement. 8. Lights. Lights are crucial to safety so that other drivers can see you and you can see the road. Check all of the lights on your Volvo to make sure they are working and clearly visible. Check headlamps and make sure they are clear, I know a lot of cars made today including Volvo have the foggy headlamps because they are plastic and the chemicals in car wash stations make the foggy. There are a lot of inexpensive products that will remove the haze or at least make better. Another item that is often over looked is the fact that headlamp bulbs (all bulbs really) fade over time. just because your bulb works doesn't mean it shouldn't be replaced. A 3 year old headlight bulb can be 50% less bright than a new bulb. One more thing is as we get older we have a harder time seeing at night. If you are like me and can't see as well as when i was younger it might be a good idea to add fog lamps or purchase brighter "super white" headlamp bulbs. 9. Distractions. This is a huge topic with multi million dollar campaigns including television ads and new articles but I felt like it should be mentioned here too. I have family members who have suffered due to distracted drivers. 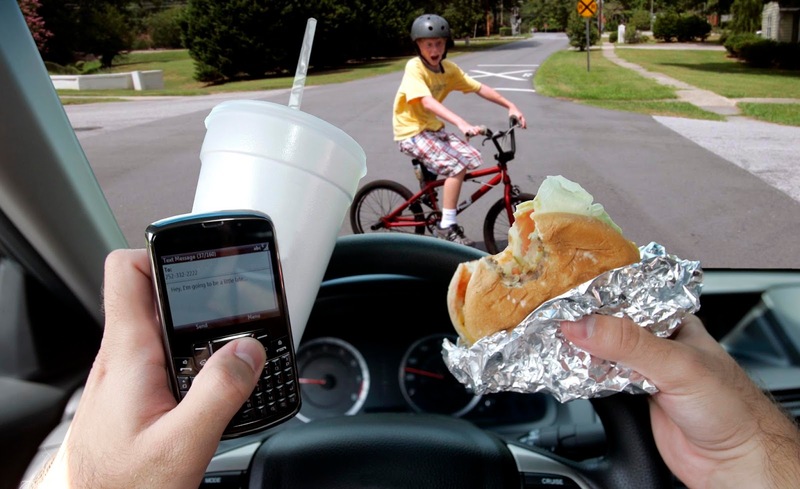 Everything is a distraction these days including passengers, cell phones, navigation screens, radios and other gadgets. The number one cause of vehicle accidents is a distracted driver and it's possible the easiest to fix. Put down the phones and pay attention. If you attend a driver safety course the number one topic will be distracted drivers and it is the number one thing you can do to drastically reduce collisions. 10. Neglected Maintenance. We're busy and don't have time or it cost too much money. That is a couple of reasons why do don't keep up with vehicle maintenance. Keeping your vehicle properly maintained and getting annual inspections can prevent accidents. Just a quick personal story.... I was 21 yo and well like most 21 yo I didn't pay too much attention to safety. 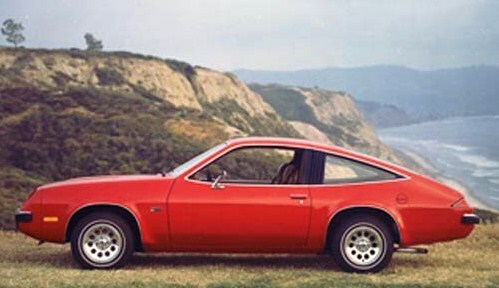 A friend comes by the house with his brand new, used 1978 Camaro and he wants me to get in and see how well it drives. When reach 135 on the freeway and passed a cop so fast he didn't even try to get us. Later we were driving down a side street trying to avoid the cop we passed and cruising about 30 MPH when the right front wheel fell off the car. I mean literally fell of the car. The two of us looked at each other and almost passed out think about what would have happened if that happened at 135 MPH. Get your Volvo checked and make sure it's safe. Safety tips are meant to be helpful but you should always refer to a certified technician or repair shop for specifics. 1. What does Volvo mean by 16 inch or 17 inch etc... brakes? What do I measure? 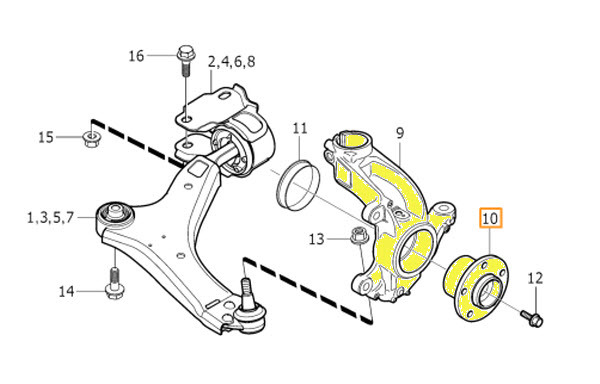 Ok this is kinda goofy but Volvo is talking about the minimum size wheel required to clear the brake rotors i.e. system. There is nothing you can measure that will get you that information. Example: if you have 18 inch wheels is does not mean you have an 18 inch brake system. You might have a 15 inch brake system even though you have larger wheels. Remember, it is the minimum wheel so that would mean 15 inch or larger. The best thing to do is call us with the VIN# or when placing an order leave the VIN# in note section during checkout. 2. 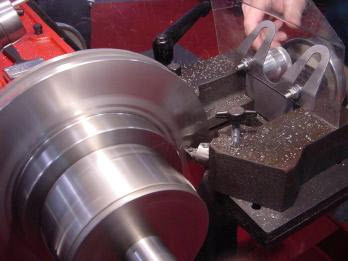 Can you turn (lathe) Volvo brake rotors? Why not? No you can not resurface, turn or lathe Volvo brake rotors because they are made to such tight specifications that Volvo does not manufacture them with extra meat (metal). European companies do not make rotors that can be resurfaced. They are generally thinner to save weight and increase performance. Remember when Toyota had all the issues with the brakes not being strong enough to stop the car when the gas pedal stuck? Volvo didn't have that problem because Volvo brakes can stop the car even if the throttle stuck (that is my understanding, not verified). BTW you do not have to replace the brake rotors every time you replace pads and in most cases they should be replaced every other time you replace the pads. 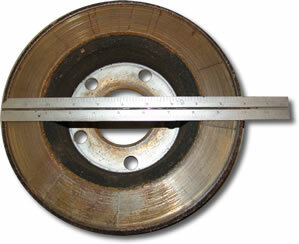 The 3 common reasons for brake rotor replacement are; 1. too thin, worn down. 2. warped due to getting hot and cooling quickly do to water or snow. 3. The have grooves in them due to worn pads and metal to metal contact. Also BTW your Volvo brake rotors can be thick enough to pass but if it has a groove it should be replaced. 3. Do Volvo's have brake sensors like BMW? 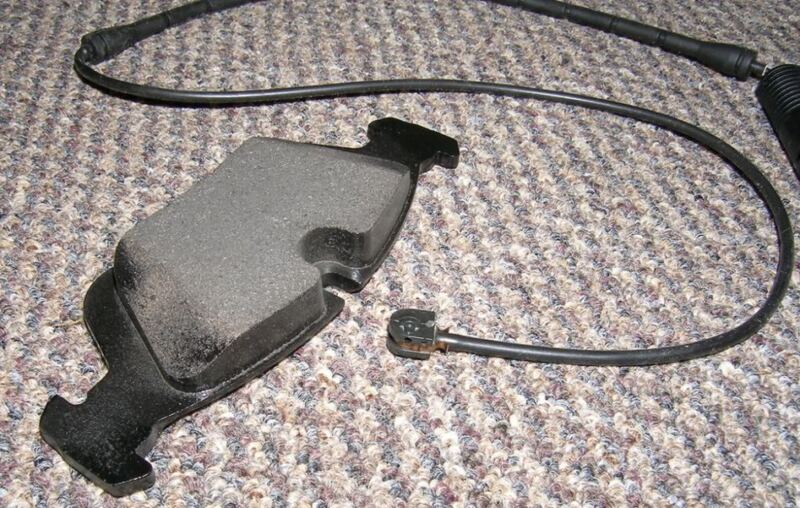 No Volvo does not use an electronic sensor to let you know when it is time to replace brake pads. I'm not sure why but it could be because by the time you need new brake pads you need new rotors too so a sensor that tells you the pads are worn before the eat into the rotor is not necessary. 4. Should I purchase genuine Volvo brake pads/rotors or is any brand fine? OK I realize that even though I will be perfectly honest answering this question I know some people will still doubt and/or disagree but that is OK. If you want your Volvo to perform just like new and just like the Volvo people originally intended then yes you should use factory brake parts. The benefits are a factory fit, factory quality and original performance. If you choose an aftermarket brand you may experience more brake noise, brake dust and it may take longer to stop. Having said all of that; if I was on a tight budget I would probably do factory pads and aftermarket rotors. Some Volvo drivers prefer ceramic pads due to less dust and longer wear but with just about everything in life you compromise one benefit to gain another. Ceramic pads can wear down brake rotors much faster than factory pads. Let me give you two examples that show you how changing parts almost always requires a compromise. Polyurethane bushings were all everyone wanted when they first came out because they lasted longer. The compromise everyone learned is that a harder bushing meant a rougher ride. With tires the softer the tire the better the ride and performance but the faster it wears. 5. Does Volvo use anti-rattle clips? Yes but usually it is 1 big clip on the brake caliper and not the typical multiple clips like a lot cars have. 6. 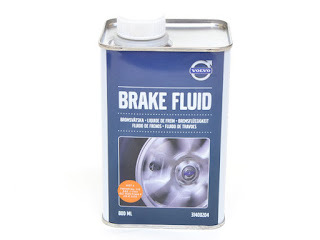 What type of brake fluid does Volvo use? Volvo uses Dot 4 brake fluid in all their models but always check the owners manual to be sure because later models could change after this posting. 7. Do Volvo master cylinders go bad? How often? I get phone calls from big chain repair shops that rarely work on Volvo's asking to price a master cylinder on a Volvo and I always wonder why. Volvo master cylinders RARELY fail and I mean R-A-R-E-L-Y. 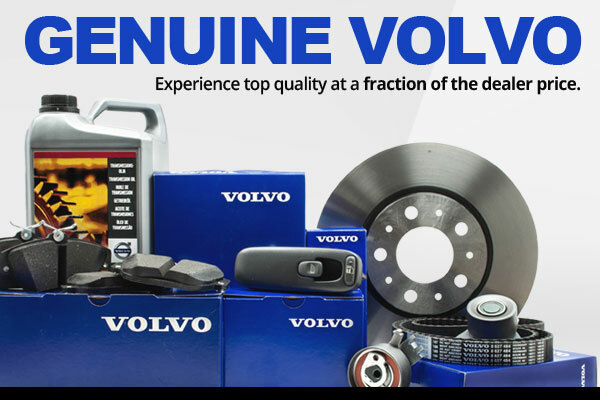 We are the top Volvo dealership in the world and sell 10 a year. 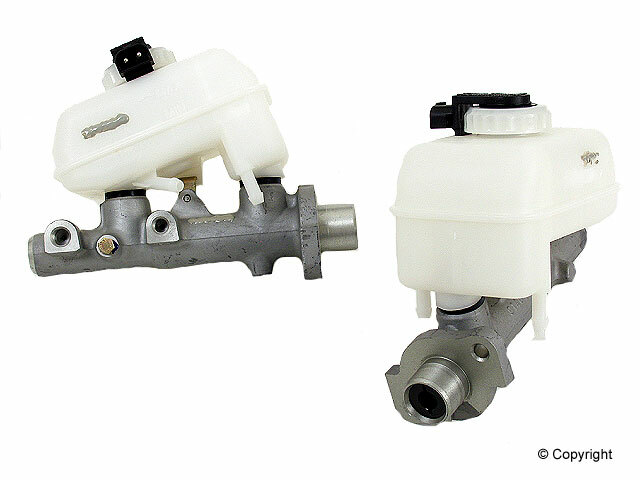 If someone has diagnosed your car with a defective master cylinder you should get a second opinion. 8. Should I buy genuine Volvo brake calipers? NO. Why would I say that given the fact I make my living selling genuine Volvo parts? Because Volvo brake calipers are WAY overpriced. The brake caliper is a very simple hydraulic/mechanical part with few moving parts and it is very easy to rebuild a factory brake caliper with a few seals and some cleaning. In most cases you are getting factory part that has been remanufactured, rebuilt, refurbished with a good cleaning and new seals. 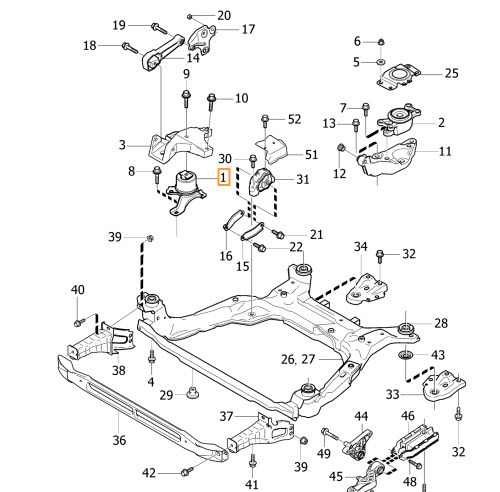 For example; a 2006 Volvo XC90 front caliper sells for $376.38 MSRP (oct 2015) but a rebuilt factory caliper sells for $76.00. The brake caliper is a safety item but if one fails the other 3 can usually stop the car in an emergency. 9. Volvo brake pedal sensor fails. 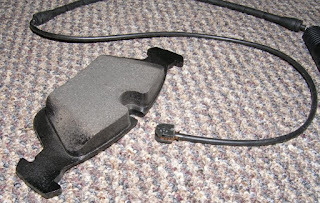 Most Volvo models circa 2000-Up have a brake pedal sensor located on the brake booster. If this sensor fails it usually causes a warning light in the dash. 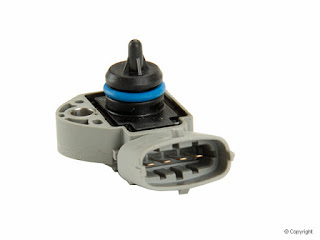 This sensor helps the braking system on your Volvo know where the brake pedal is relative to it's travel and senses if other systems need to assist the brake system such as vacuum pumps etc... This part is usually easy to replace yourself. 10. Volvo ABS Traction Module. The ABS (Anti-lock Brake System) Control module on Volvo's actually controls a lot more than just the brake system. 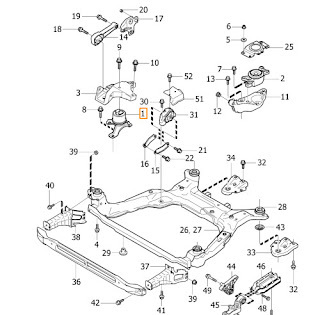 It is very common for your Volvo to have multiple symptoms when the abs module fails. Here are some of the more common symptoms found on most models but this wont' happen on every model. Symptoms: an SRS or ABS light comes on in the instrument area. The speedometer stops working and sometimes the transmission is affected. We list the top 10 repairs on the Volvo S80 2007-2016 models (mostly six cylinder engines). Don't let this list affect your views on the Volvo S80 as it is actually a very good car. Every car made by every manufacture has common repairs particular to that make and model. 1. Motor Mounts. 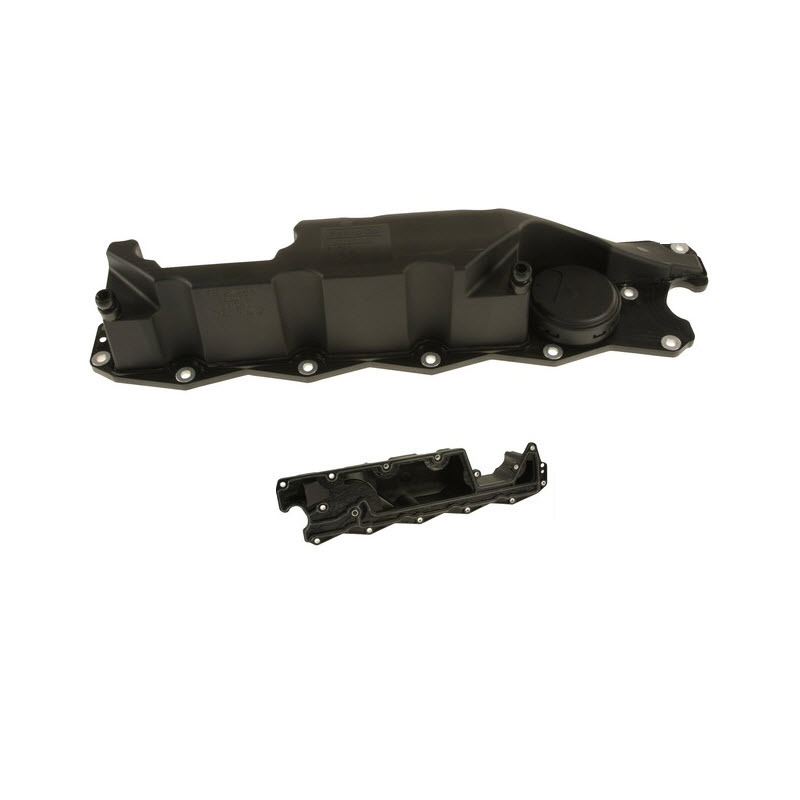 The 2007-Up Volvo S80 6-cyl has 5 engine mounts that will need to be replaced every 100,000 miles or sooner in some cases. You dont have to replace all mounts at once but motor mounts that are close to each other should be replaced in pairs because one bad mount can lead to premature failure of the other motor mounts. 2. Oil Trap or PCV Flame Trap. Instead of the old fashion PCV (Positive Crankcase Valve) Volvo uses an oil trap which is better for emissions but it can get full and start to make a whistle noise. It is crucial you replace the oil trap every 100K miles because this part can cause a lot of major problems that will cost you big money to repair. Common side effects are oil leaks, sluggish power, oil consumption, loss of gas mileage and more and it can get clogged up and not whistle too so you should replace it at 100K. 3. Fuel pressure sensor. 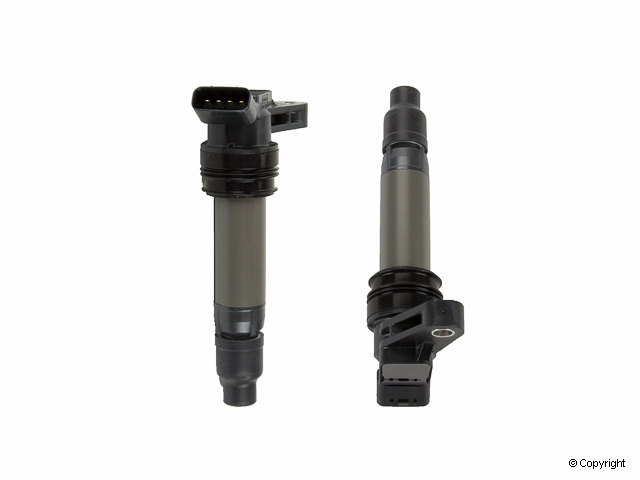 The fuel pressure sensor is located at the end of the fuel rail (injector rail) and it regulates fuel pressure and sends a message to the ecu telling it to increase or decrease pressure. If this sensor fails your S80 can idle rough, miss, rev up and down (erratic idle) or just stop running completely. 4. Radiator or Coolant Hoses. There are several coolant hoses on the Volvo S80 six cylinder engine and many of them have plastic connections that can break overtime. It's also somewhat common that the lowest hoses are hit by road debris. 5. 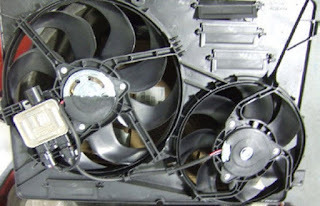 Radiator Cooling Fan Electric. Some Volvo S80 2007-2009 six cylinder engines have a recall on the electric cooling fan due to a defective fan module. If that is the case you need to take your Volvo to a local dealership. If your fan module fails and your car is not part of the recall you can order part number 31305106. This module does not fit every S80 version but if your fan looks like the one below it probably will. 6. Ignition Coil. The ignition coil on Volvo S80 2007-Up six cylinder engines usually last about 100,000 miles but some have been known to fail sooner. 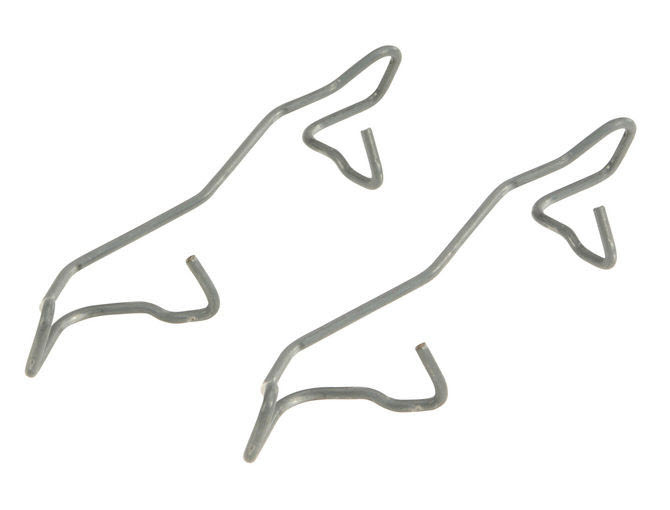 The Volvo S80 6-cyl has 6 coils so it is 6 times more likely to fail than older cars with only 1 coil. This repair is pretty easy to do so don't be afraid to do it yourself if needed. 7. Alternator and Pulley. 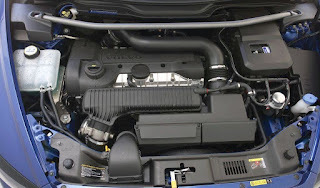 The Volvo S80 2007-2016 six cylinder engine has a unique pulley system for the alternator, timing belt and water pump. 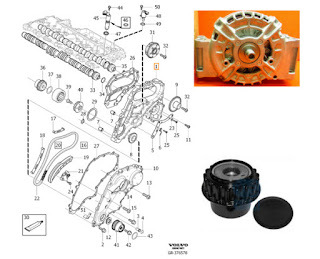 The factory alternator does not include the pulley and the pulley system actually has many other mechanical parts. 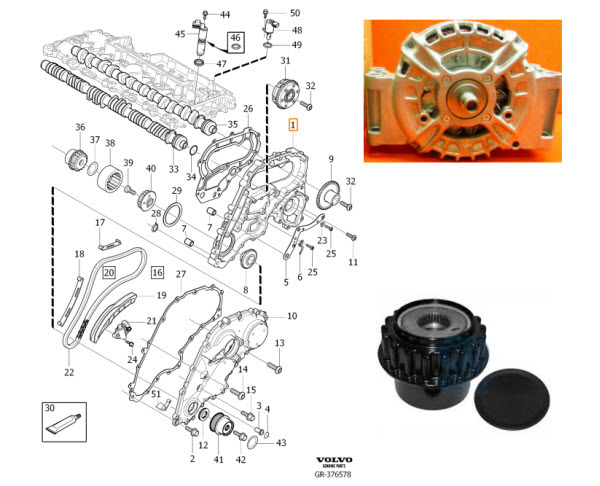 If your alternator or alternator pulley fails you need to check the other parts involved for wear. 8. 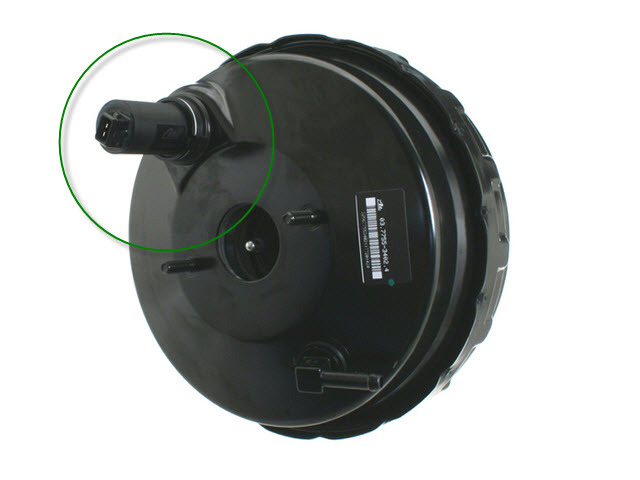 Brake Vacuum Pump. 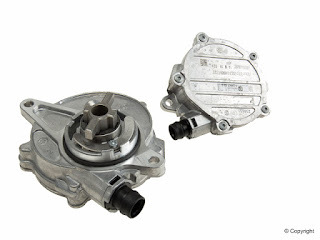 The brake vacuum pump can start to leak and loss of vacuum can affect more than just brakes. There is a repair kit available now that will save you a lot of money and the repair is fairly easy. 9. Front Wheel bearing. Wheel bearings are usually part of the hob now because it is a sealed unit and actually last longer and require less maintenance. Nevertheless wheel bearing and wheel hubs can fail and it is common for them to only last 100,000 miles. 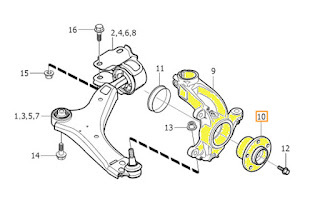 Unfortunately the Volvo S80 takes it a step further and now you have to purchase the entire steering knuckle if the front wheel hub is defective. 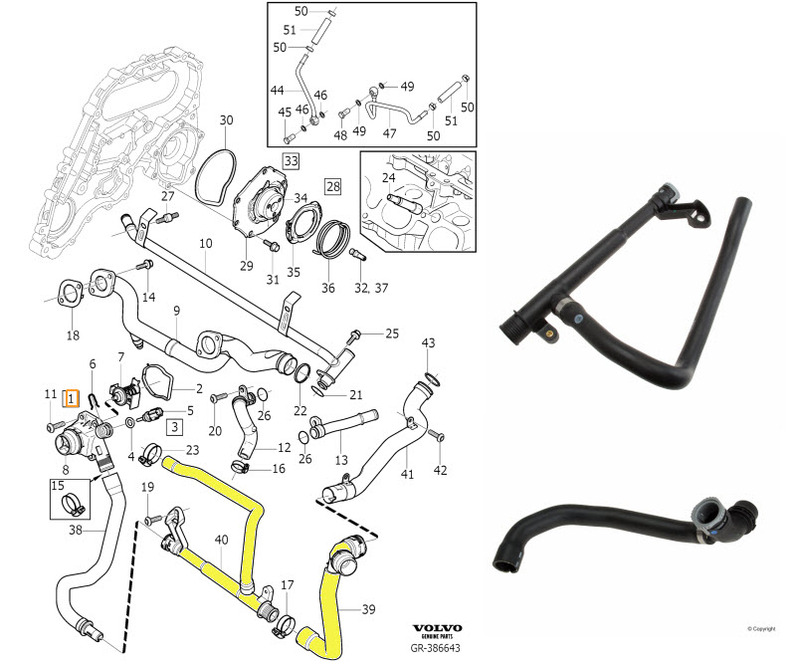 Hopefully Volvo will offer a better solution in the future but for now you have to purchase the entire knuckle and hub assembly. 10. Front Bumper headlamp washer cover. Volvo headlamp washers offer a clean headlamp at a touch of the button which is safer and a luxury feature. Unfortunately the cap that covers the headlamp washer nozzle can fall off due to impact or due to defects due to the effect heat has on plastic over time. It's a cheap part and easy repair BUT the cap does not come painted to getting it painted can cost $30 to $85.00.